The history of crime and punishment often reflects regional culture and politics. Queensland well illustrates this point with authoritarian politicians and regimes imposing harsh and sometimes corrupt practices on their populace. Who could forget the amazing revelations of the Fitzgerald Inquiry that led to the demise of a ruling political dynasty and the gaoling of a police commissioner? But the revelations of this kind are hardly recent. The earliest days of Queensland’s justice system were marked by concerns over the reliability and trustworthiness of the police and scandals that rocked police commissioners well before Terry Lewis found himself behind bars. The overwhelming historical pattern has been one of turbulence and authoritarianism, with prejudice and ignorance infusing many parliamentary debates on crime and punishment. Yet, as this book also shows, this is just one side of the State’s crime and punishment history. 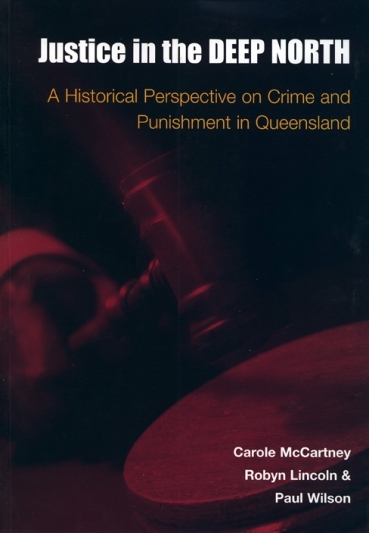 Queensland was the first State to abolish the death penalty, and it was the first to establish a police juvenile aid bureau, in an effort to avoid locking up and stigmatising juvenile offenders. Recent history suggests that in the fields of justice ‘the deep north’ may well be adopting more progressive and democratic practices – though much still needs to be done.